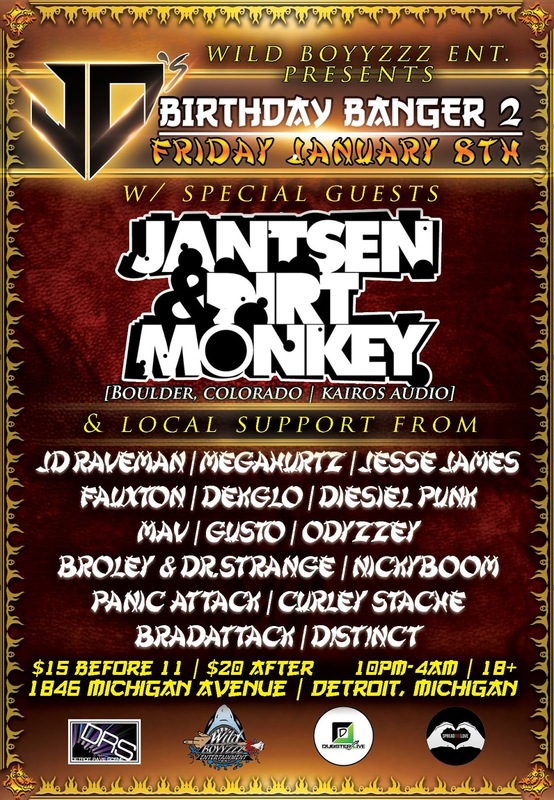 Jantsen & Dirt Monkey Take Over The Works In Detroit, MI Tonight! Jantsen & Dirt Monkey are in Detroit, Michigan tonight at The Works Nightclub for JD's Birthday Banger presented by Wild Boyyzzz Ent.! The returning tag team set have shown their skill before and are sure to impress us once again 1-2AM tonight in Detroit. While both have new recent music, I'm positive we'll be hearing a list of unreleased material handpicked from the Kairos Audio roster. Tickets are still on sale and will be available at the door for $15 before 11pm and $20 after!